Afternoon Loverlies! Hey y'all! Not much happened this weekend, other then my searching for anime's. lol I've discussed that already though. I have been very fickle about working out, I know, it is just hard because I get bored easily. Also I do not like going outside by myself much, and i'm so out of shape most of my stuff I can't do. I have quite a few of exercise videos to choose from. The one I loved was a Richard Simmons workout video but I have that on VHS, but yet I have no VHS player. I need to find one, argh!! I haven't brought myself to finding it on amazon or e-bay either, but I found one today at wal-mart for about ten bucks. WIN! I think this is finally it! The one video I hopefully won't get too bored of or just completely give up on. Hopefully. lol It is called Burlesque by Jazzercise. I have never tried this video before but I enjoyed it. I sadly couldn't do more then 5 minutes of it though, but I will keep trying till I can do the whole video. This Burlesque video has some cute, smexy, and fun, dance moves to work out to. Maybe If I pretend that I'm trying to get myself prepared to try out to be a Burlesque girl that sings, then maybe it will keep my interest. lol I am going to try though, I just have to remind myself of the cute shirts I have in my closet I cannot wear because I'm a bit chunky. I know my body will thank me in the long run and maybe I will just completely feel better, and be back to my old self again. I hope. I actually have been working out for five days straight so far. YAY! This weekend I was working out to a Pilates video I enjoy doing , but I needed something more cardio. 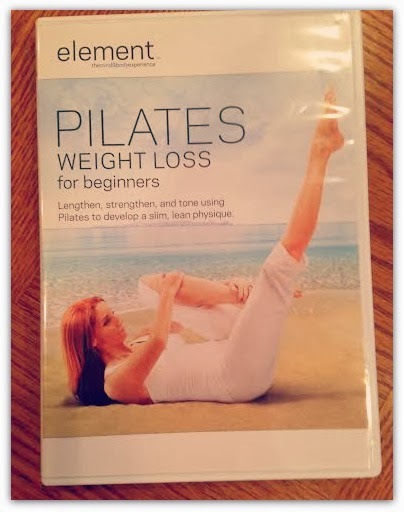 This workout video is called Pilates weight loss for beginners. It works out your muscles, it really does. lol I'm always sore afterwards even though it's not much cardio, instead it is stretches, lunges, squats, etc. It was 70 degrees today, I wonder if it is finally spring now? Or as usual, did we just skip spring and go into summer again this year? lol Sheesh, the weather! Hope y'all had an awesome weekend! Ta Ta For Now!